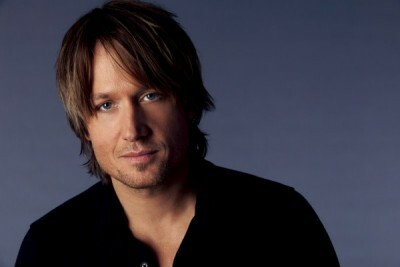 Famous for his go-go lifestyle, few people know that an addiction to the game “Go” nearly derailed Keith Urban’s career. In a recent rant, much to the dismay of people around the world, Tony Abbott, the Australian Prime Minister, compared Kiwis to sperm: “Millions of them enter and only a couple of them actually work.” Keith Urban, a country music star who has sold millions of albums and won dozens of awards, might have something to say about Mr. Abbott’s ignorance. Born in Whangarei, New Zealand, Urban moved to Australia at the age of 17. In addition to his turbulent relationship with Nicole Kidman, his spouse, Urban’s struggle with addiction has been well documented. The “Get Your Tongue Outta My Mouth ‘Cause I’m Kissing You Goodbye” singer is finally speaking out about how difficult sobriety was for him, and what ultimately saved him from those diabolic demons. Urban left Australia for Nashville in 1992, and started out as the lead singer of a band called Generic Garbage. Although he quickly gained notoriety for his musical prowess, he found himself consumed by the game “Go,” and almost missed the opportunity to play on “The Ballad of Pretty Mouth Pete” from the Dixie Chicks’ “Rotten Teeth, Pure Heart” record. Go, a board game that originated in ancient China more than 2,500 years ago, involves significant strategic thinking. In 1998, after a record breaking twenty-one consecutive days playing Go, which cost him a spot playing alongside The Eagles, Black Crowes, Flock of Seagulls and the Fabulous Thunderbirds on the “Ornithology” tour, Urban checked himself into rehab. But the success was short-lived, “Considering the number of possible games in Go is vast — 10,761 — compared, for example, to the estimated 10,120 possible in chess, it’s easy to see why it consumed my life,” said the smooth talking Kiwi. Only four months after marrying Kidman, Keith Urban checked himself into a grueling rehab program, after his wife and a few close friends staged an intervention. With the help of the counselors working at Crossroads, a clinic based in Antigua, the singer faced his demons head-on. Eric Clapton, who himself struggled for years with an addiction to Monopoly, founded this beachfront center, which offers yoga and mediation classes in addition to a full rehab program.